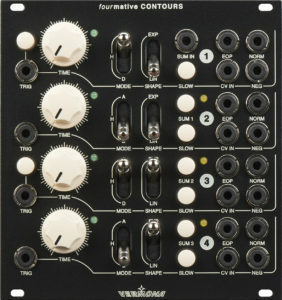 Audio-oscillators are probably the most widespread modules found in Eurorack small-format modular systems today — hardly surprising since they are fundamental for generating synthetic sounds, both tonal as well as percussive. Oscillators, of course, are at the musical heart of VERMONA’s sought-after synthesizers, such as the flagship ’14 ANALOG SYNTHESIZER, so the company clearly knows how to design them. That said, instead of applying a ‘copy and paste’ procedure, it reworked many aspects, adapting its oscillator circuits to Eurorack small-format modular system usage. After all, what works well for closed systems might not necessarily be perfectly suited to modular systems. 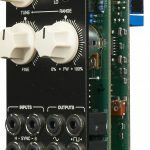 Such ‘due diligence’ displayed during research and development resulted in the uniCYCLE voltage controlled oscillator, a compact (10 HP-wide), high-performance, and stable oscillator offering all the common features that the discerning Eurorack small-format modular system user might easily expect… and, arguably, much more besides. Besides classic sawtooth, triangle and square offerings, the uniCYCLE voltage controlled oscillator generates sine, even, and a special sawtooth with doubled frequency for a total of six waveform OUTPUTS. PWM (Pulse Width Modulation) is not only available for that square wave, but also even — a shape that only has even-numbered harmonics — can be transformed into a sine-like wave, while the doubled saw turns into half-pitched triangles. 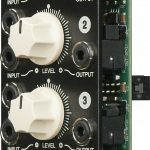 There are also six OUTPUTS, including LIN FM (Linear Frequency Modulation) and EXP FM (Exponential Frequency Modulation) as well as H – SYNC – S (hard and soft sync). Saving space, one knob allows access to the uniCYCLE voltage controlled oscillator’s frequencies in three different modes. TUNE either controls the low frequency or audio range, respectively adding or subtracting exactly one octave. In this calibrated mode it provides a ‘dead-zone’ around its centre position, making it easy to access all three octaves without needing a centre-click. Care was taken to make the uniCYCLE voltage controlled oscillator suitable for use in a musical context when VERMONA made its design decisions. Delivering superlative sound quality with rock-solid, stable tuning, the uniCYCLE voltage controlled oscillator obviously fulfils those all-important criteria, handling huge tuning ranges with the greatest of ease while strictly following the 1-volt-per-octave convention. 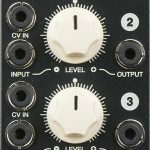 Clearly, then, the uniCYCLE voltage controlled oscillator makes a strong case for anyone to embrace Eurorack… and at least one such module should be in every Eurorack small-format modular casing! 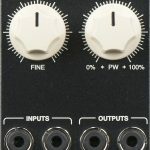 Shipping now, the uniCYCLE voltage controlled oscillator is available to purchase through VERMONA’s growing global network ors (http://www.vermona.com/en/dealer/) with an RRP of €289.00 EUR (Europe) and $339.00 USD (USA).